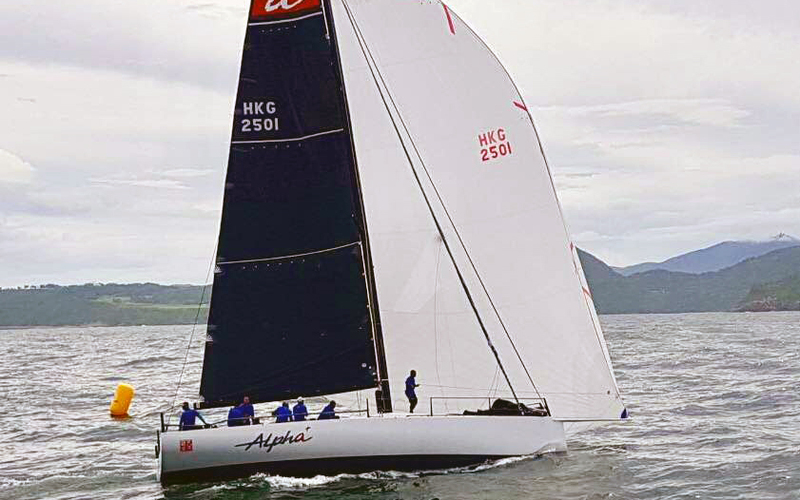 After much success for the Ker 46, both in regattas and championships and in numerous class wins in offshore races such as Fastnet and Sydney to Hobart race, it was time to bring out a new design to take advantage of our continually improving optimisation technologies. 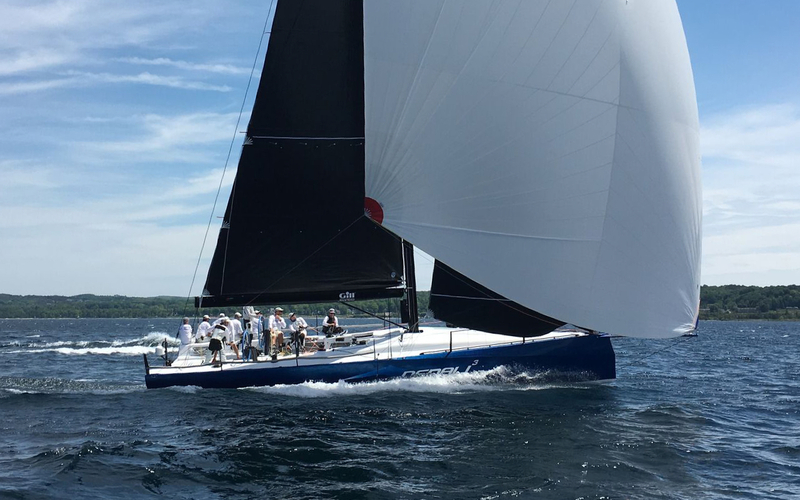 Replacing the Ker46 as our semi-custom offering in the size range, the Ker46+ is the next development from our Ker40+ winner of both the 2017 Fast40+ season championship, the 2017 National championships and for three years in a row the Fast 40 class of the Around the Island race. The Ker 46+ is significantly lighter than the previous generation, but its powerful hull form ensures excellent upwind and reaching performance. The hull shape is the product of an extensive formal optimisation involving a large volumes of RANS CFD data, leveraged through use of Neural Networks and proprietary optimisation techniques. The optimisation process for the 46+ benefits from real data and feedback from our recent projects. Taking the structural optimisation to levels rarely seen outside of Americas Cup, the final lamination is the product of structural weight v stiffness optimisation, and the deflection of the shape under sailing loads is taken into account in the definition of the moulded shape. Construction is from pre-preg Carbon and carefully selected foams throughout; a large weight saving from the infused Ker46 design. The keel and mast support structure follows our tried and tested approach, built in the autoclave on machined aluminium moulds for reliability and accuracy. An extensive keel shape optimisation has been carried out, achieving very significant section drag gains downwind without compromising upwind gains. These downwind gains have been used to increase the fin area, making the design easier to sail to its potential in variable conditions. During recent years we have evolved our approach to keel fin structures, retaining our extremely cautious approach while taking advantage of extensive FEA structural optimisation and IRC's new freedom of keel fin material and processing selection to save considerable weight. The rudder design uses an optimal blend of high modulus, intermediate modulus and standard modulus carbon fibre types to maximise its strength and stiffness within its design constraints, and is solid carbon right through its thickness in way of the critical lower bearing position. 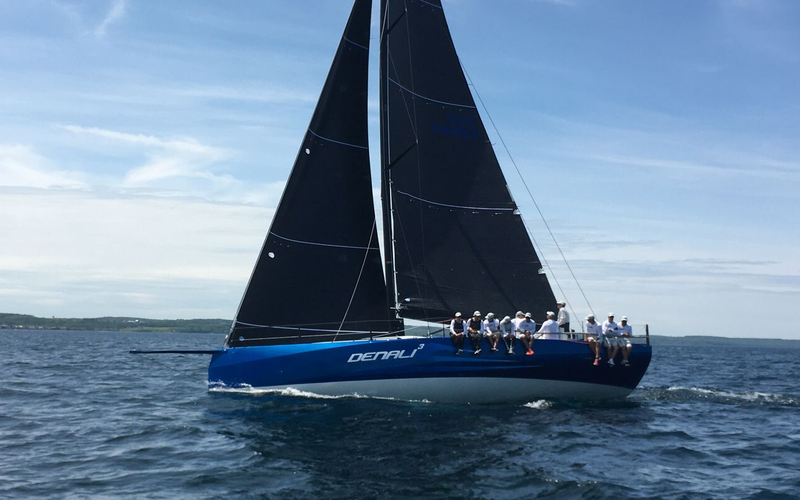 The rig aspect ratio is reduced compared to the previous 46, partly due to better sail depowering behaviour, reduced rig weight and better treatment by ORCi's aero model. The bowsprit length has increased significantly and the bowsprit design has been optimised for weight, stiffness, windage and reliability of installation. The 'coachroof' shape of the previous Ker 46 is retained, with its optimal jib sheeting arrangement on the apex of a long coachroof, however the jib tracks have been extended inboard to allow tighter sheeting angles. This arrangement allows for a more practical interior space for venturing offshore than the fully 'flat deck' arrangement that has become fashionable for inshore racing, but does so while actually saving weight through the incorporation of natural deck stiffeners into its shaping.